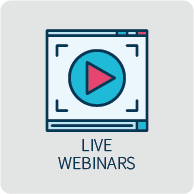 The SMFM Lecture Series complements MFM fellowship programs with a twice-monthly web lecture series by leaders in MFM, ultrasound, research, neonatology and genetics. Join us on the first and third Wednesday of each month to hear your colleagues share state-of-the-art strategies for managing the un-routine. Each lecture consists of 50 minutes of didactic lecture followed by 10-15 minutes of live Q & A with the speaker. All live lectures begin at 12:00 EST/EDT. Past webinars are also available on-demand. Just use the search functions below to find the topics that interest you. Please Note: Lectures do not provide CME credit. SMFM would like to thank Samsung for sponsoring the MFM Lecture Series’ delivery platform. Register today to attend Dr. Yonker's lecture on perinatal depression and medication use. To review the relevance, prevalence, and etiologies of diagnostic errors and discuss potential future solutions. *SMFM does not allow the downloading or screen capture of this video. If you have any questions, please e-mail Chris Coleman at ccoleman@smfm.org. This lecture was recorded on 01/16/2019. 1.Describe the clinical definition of peripartum cardiomyopathy (PPCMP). 2.Understand the risk factors and potential etiologies in the development of PPCMP. 3.Identify clinical signs/symptoms concerning for heart failure/PPCMP. 4.Recall the diagnostic evaluation and treatment of PPCMP. 5.Understand prognostic factors in PPCMP and risk of recurrence in a subsequent pregnancy. 1.Discuss maternal physiology changes in pregnancy. 2.Recall 2-3 changes in each organ system. 3.Identify the physiology mechanisms of these changes in pregnancy. Join Dr. Mike Paidas as he shares his expertise on Neonatal Alloimmune Thrombocytopenia. 4. Present a bundle for personal wellness prophylaxis as you move forward with your career. 3. Apply evidence-based practices to cerclage placement as well as pre- and post-procedure management. 3. Discuss management and complications in these syndrome. 3. Initiate low cost/low risk interventions for the prevention of recurrent pregnancy loss. 3. Develop the path to obtain research funding. 4. Identify preventive measures for Zika in pregnancy. 3. Develop treatment paradigm for pregnant patients. 4. Discuss Doppler use in the management of very preterm and near term FGR pregnancies. 4. Describe the ethical issues associated with fetal surgery. 4. Understand pregnancy management with artificial heart valves. 4. Identify challenges of systematic reviews. 5. Discuss complications of monochorionic twin pregnancies. Dr. Gyamfi-Bannerman, using clinical examples, provides a practical and easy-to-understand approach to power and sample size calculations in clinical research. Cathy Spong from the NIH shows how to put together and present a research presentation and how to optimize and avoid common pitfalls when preparing and presenting a talk. Dr. Abuhamad discusses the role of ultrasound in the diagnosis and management of renal anomalies. In this lecture, he reviews the embryology, the first trimester appearance, and the specific types of renal anomalies. Dr. Judette Louis discusses the role of pregnancy as a window to future health and what it means for the MFM physician. She reviews the connection between pregnancy complications and long term health implications as well as policy obstacles and implications to programs that would allow follow up of women who have had pregnancy complications. Dr. Molly Stout discusses the use of databases for research. She reviews the pros and cons of database research, things to consider when using databases, types of databases, and how to start a database. Dr. Alison Cahill explains the concepts of bias and confounding in observational studies. In this lecture, she gives examples of each and discusses solutions to mitigate them both when planning and analyzing studies. Dr. Mark Klebanoff discusses how to plan a clinical trial. He reviews the information needed to calculate the appropriate sample size, some technical details of how randomization can be done and gives a number of real world examples of how randomization can go wrong. Dr. Sarah Kilpatrick reviews the concepts of thyroid disease in pregnancy. She discusses the ACOG position on routine screening, why to keep FT4 in the high normal range in Graves disease, and why it is not necessary to routinely check TFTs in all women with hyperemesis. First in the series of lectures on biostatistics, Dr. Chris Pettker introduces the basic concepts of biostatistics and reviews the basic terms. Dr. Vincenzo Berghella discusses the diagnosis, the etiology/risk factors, and prevention of cervical insufficiency. He reviews the various interventions for treatment including progesterone, cerclage, and pessary. Dr. Jennifer Bailit explains the pros and cons of cohort studies and the appropriate questions for cohort studies, as well as providing an introduction to data sources for such studies. This is a joint lecture moderated by William Rayburn and given by Sarah Gopman, MD, and Lawrence Leeman, MD, on opioid dependence in pregnancy. They discuss the treatment options and management of pain during labor and postpartum. They also discuss neonatal abstinence syndrome and the patient centered care model for women with substance abuse in pregnancy. Dr. Sean Blackwell discusses the fundamentals of case control study design. He reviews the rational for choosing this design-- the strengths and limitations, study design pearls, and presentation of data. Dr. Lauren Plante discusses the epidemiology of critical care in obstetrics and then focuses on the management of sepsis and ARDS, including an in-depth discussion of ventilator management. 4. What the sonographic findings are that are associated with fetal Zika infection. How Should Clinicians Apply the Progesterone Literature to Clinical Practice? 4. Promote the optimal use of progestogen. 4. Understand the importance of the 3-vessel trachea view in screening for congenital heart defects and what anomalies may be detected at the level of the 3-vessel trachea view. Dr Chad Grotegut discusses inflammatory bowel disease in pregnancy. He reviews the use of medications including biologics and aspirin in pregnancy as well as the issue of mode of delivery. Imaging In Fetal Anomalies – Who Needs MRI? Dr. Mariana Meyers, a fetal radiologist, discusses when MRI adds clinical value to findings on ultrasound imaging. She categorizes the areas where MRI is helpful and provides additional clinical information using examples of specific cases. At the end of this presentation, the viewer will learn about the frequency of alloimmune thrombocytopenia and be familiar to its pathogenesis diagnosis and management. At the end of this presentation, the viewer will learn about novel assays to detect HIV infection earlier and be updated on new recommendation that allow earlier and more accurate diagnosis of HIV infection. At the end of this presentation, the viewer will learn that the OB provider advice improves breastfeeding initiation and duration infants who are not fed mother's milk have higher infectious morbidity. MFM practitioners can provide guidance on maternal medical conditions and lactation, and curtailed breastfeeding is associated with increased lifelong health risks for women. During this presentation, the viewer will learn about acute kidney injury dialysis and renal transplant in the obstetric patient. Late Preterm and Early Term Births: Preventable Prematurity?